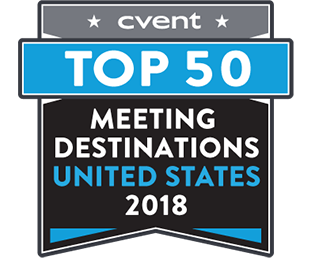 Cvent's Houston meeting planning guide provides planners with a wealth of information about meeting space, facilities, attractions, and all of the Houston meeting planning and event planning information planners need. Great things continue to happen in Texas' largest city as it rises to meet the challenges of a changing world. Simply put, Houston never stops. 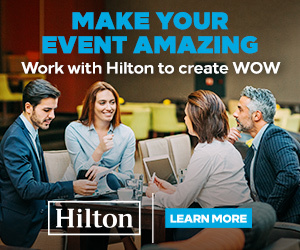 Developments in hotels, restaurants, nightlife, entertainment, attractions, retail, and special event venues pop up at a dizzying pace, enough to keep any meeting planner busy constantly discovering what's new in H-town. It's "back to the future" as Market Square Park, renovated in 2010, is one of the newest pockets of activity in the downtown historic district. 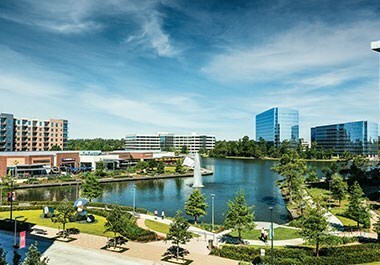 This original town center is two blocks from Allen's Landing, where the city's founders—the entrepreneurial Allen brothers from New York—landed in 1836, determined to create the city of the future. Making a comeback as a gathering place for residents and visitors alike, the urban green space was redeveloped as a truly diverse place featuring artwork, performance stage, plaza, dog run, bike share program, meditation garden, and surrounded by restaurants, bars, shops, the newly renovated Hotel ICON, and the stylish Crystal Ballroom at the historic Rice Hotel. 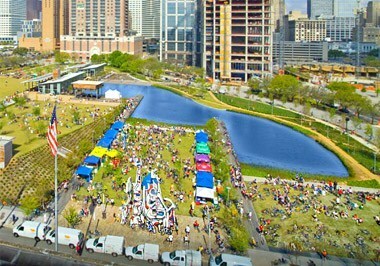 The "super block" in front of the George R. Brown Convention Center draws groups from all over with its stunning "front lawn," Discovery Green, a 12-acre urban park with a Gold rating from the LEED Green Building Rating System. 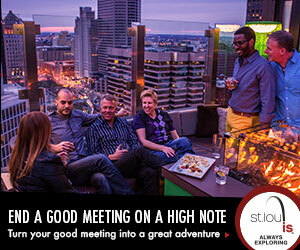 The sky's the limit for special events here just steps from the convention center—fundraisers, festivals, concerts, fun runs, parties, receptions, dinners, even ice skating in the winter. The park offers restaurants, an amphitheater, picnic areas, a dog run, pond, putting green, bocce courts, jogging trail, playground, and many beautiful vibrant green spaces—and Wi-Fi. 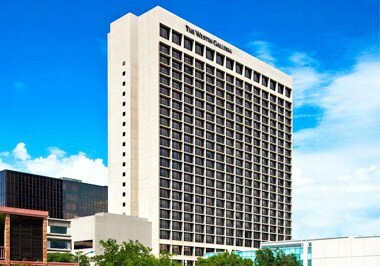 North of Discovery Green will be a new 1,175 room Marriott Marquis Convention Center Hotel with 100,000 square feet of meeting space, scheduled for completion in mid-2016, that will bookend the existing 1,200-room Hilton Americas-Houston. Also nearby is the BBVA Compass Stadium opened in 2012 and home to the MLS Houston Dynamo. Rounding out the "super block" will be the $40-million Nau Center for Texas Cultural Heritage tourism center, scheduled for completion by fall 2016 on property lying between the convention center and Minute Maid Park. The Port of Houston Authority has partnered with Princess Cruises and Norwegian Cruise Lines to offer a roster of passenger cruises from the $108-million Bayport Cruise Terminal opened in 2011. 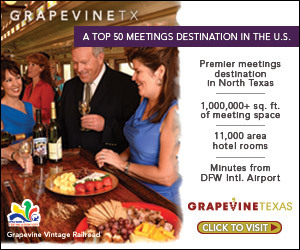 The 100,000-square-foot Bayport terminal features an exclusive VIP lounge for special events. 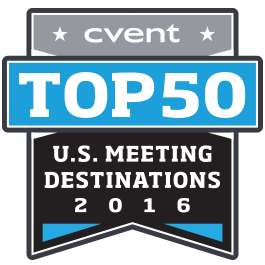 Princess Cruises and Norwegian Cruise Line each plans more than 25 departures during the cruise season. 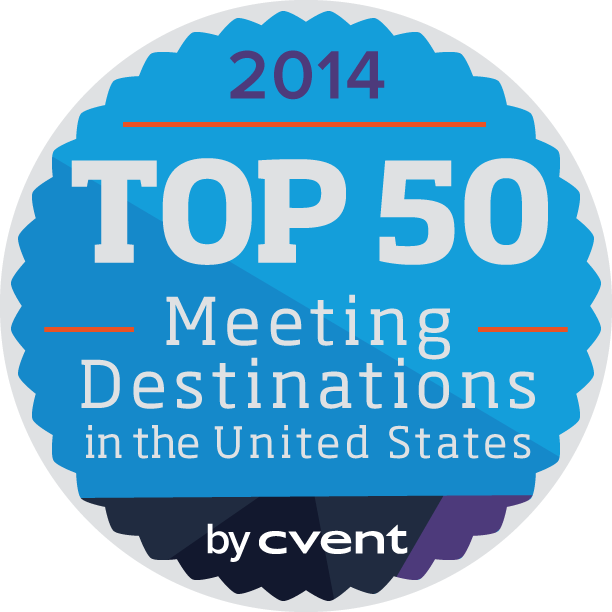 As the fourth-largest city in America, Houston has emerged as one of the nation's premier meeting destinations. 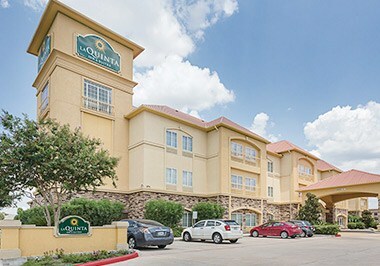 A large, cosmopolitan city with a small-town feel, Houston is unique among other major cities due to its hospitality. 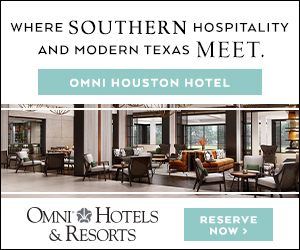 With over 330 restaurants, teams in every major professional sport, golf 365 days a year, world-class shopping, nationally renowned museum and theater districts, cruise ships and the beach just a short drive away, Houston has it all. 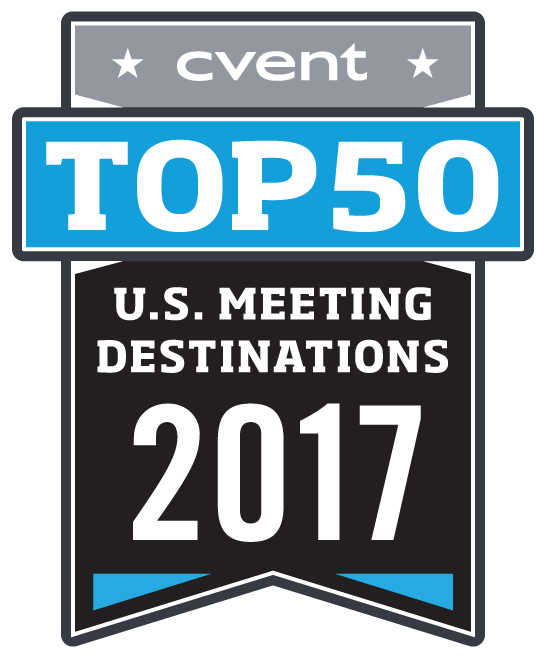 With the fourth-highest concentration of Fortune 500 companies, Houston has a strong base in the industries of technology, energy, and aeronautics. Houston has the second-highest employment growth rate in the nation. Well-known ports of call include the Lyndon B. Johnson Space Center, the Texas Medical Center, and the Astrodome, the first indoor sports stadium in the world. Houston is an international and diverse city where over 90 languages are spoken. Many Asian immigrants call Houston home, including the third-largest Vietnamese American population in the United States. The Asian American population is strongly represented in a Little Saigon and two Chinatowns. 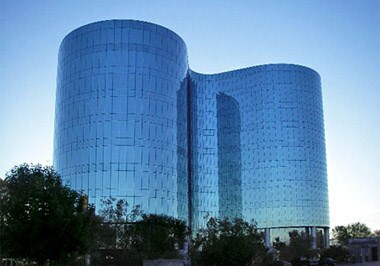 Houston also has a large gay community, with an annual Pride Parade every year. The lushness of Houston can be appreciated in 337 city parks encompassing over 19,600 acres managed by the city. 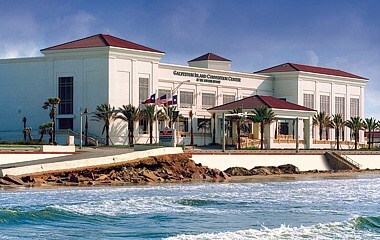 Facilities focusing on nature include the Nature Center, the Houston Arboretum, and the Downtown Aquarium. Houston has one of the best arts and culture scenes in the nation. Houston is one of only five U.S. cities with permanent performing arts companies in all disciplines: theater (The Alley Theatre), music (Houston Symphony Orchestra), ballet (Houston Ballet), and opera (Houston Grand Opera). Popular festivals include the Art Car Parade and the Bayou City Art Festival, one of five top art festivals in the U.S. Houston's Museum District draws more than 7 million visitors per year with attractions like the Houston Zoo, the Holocaust Museum Houston, the Houston Museum of Natural Science, the Contemporary Arts Museum Houston, and the Museum of Fine Arts.